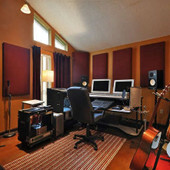 For neatly and securely hanging ATS Acoustics panels in room corners - drywall, concrete, or wood. Includes 4 angle clips, 4 panel clips, plastic anchors, and screws. Suitable for installing 1 24x48 inch panel or 2 24x24 inch panels. Normally used with our 4 inch open-back panels. These are not included with the fiberglass and mineral wool insulation boards we sell, and they are not suitable for hanging those materials. 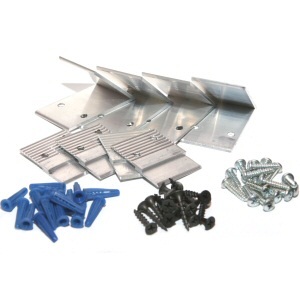 For mounting hardware for insulation board, take a look at our RotoFast Anchors. Do you need a special quantity? Extra screws or anchors? You name it! Just give us a call toll-free at 1-866-787-7881.